A picture is worth a thousand words, so it is important that you can show photos and videos to the parents in the app. 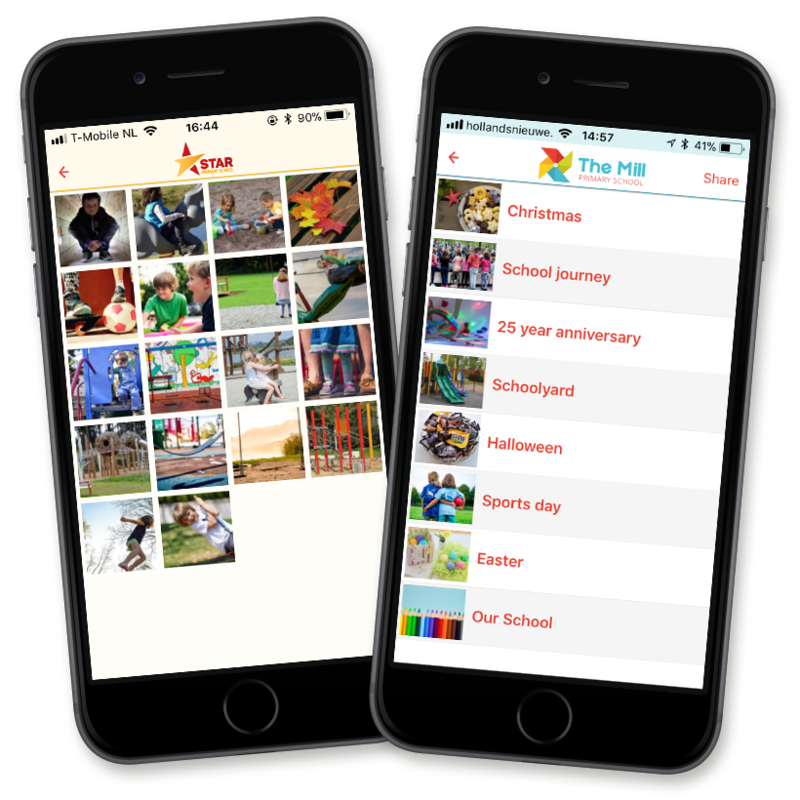 Do you want to share what the class looks like, pictures of the school trip or the sports day: parents can now view it via the mobile app. It is a nice addition to your app and it provides extra experience and involvement with parents. And there is a possibility to close it with a security. In addition, we also offer the possibility to share YouTube videos in the app. These are super easy to link via our Content Management System. Enter the URL, and we will take a screenshot and show it directly in the app. Easier than this, placing photos and videos has never been.